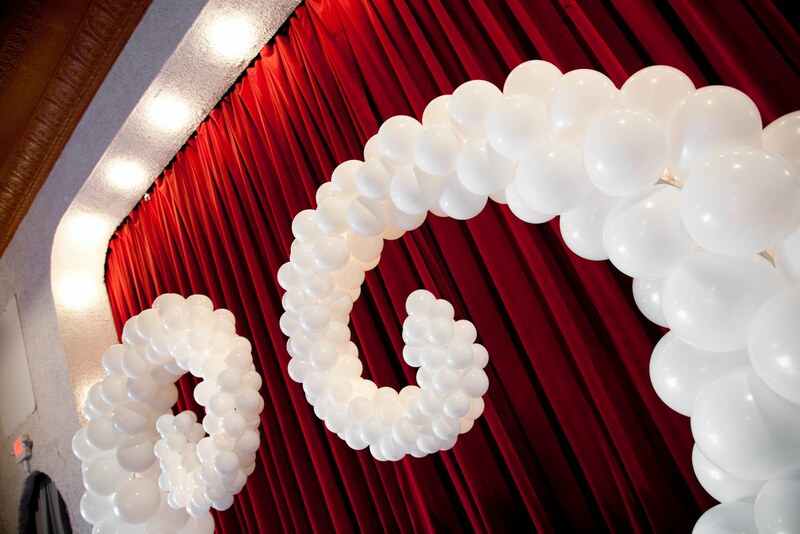 Vox Theatre - Blog: Balloons Balloons Balloons! 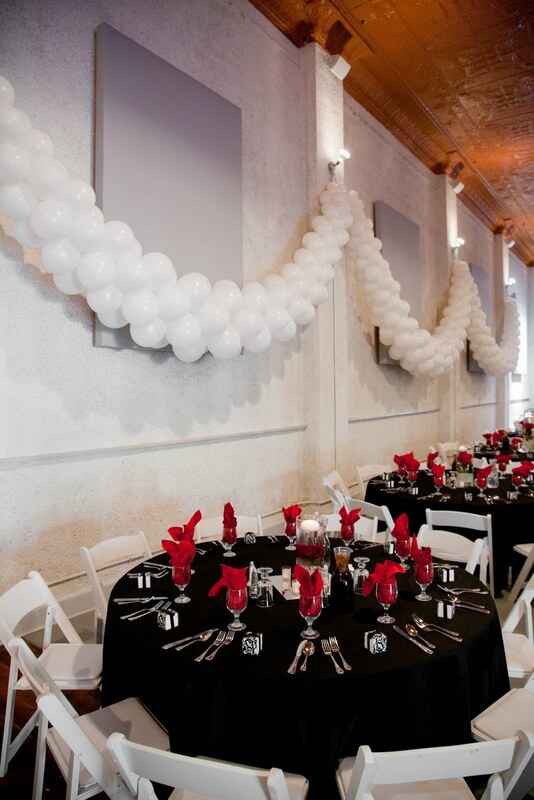 We've never seen so many balloons at the Vox Theatre. 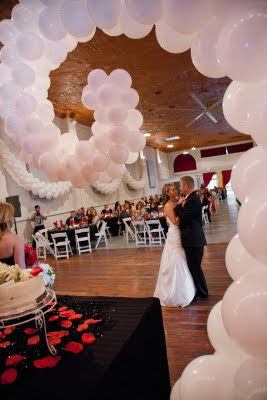 Venus and Jamie brought in over 1300 balloons for their Kansas City wedding reception. Although this was their 3 reception, (the wedding was in West Virginia) they wanted their Kansas City family and friends to share in their joy. And they celebrated with balloons! The balloons were provide by Balloon Expressions.